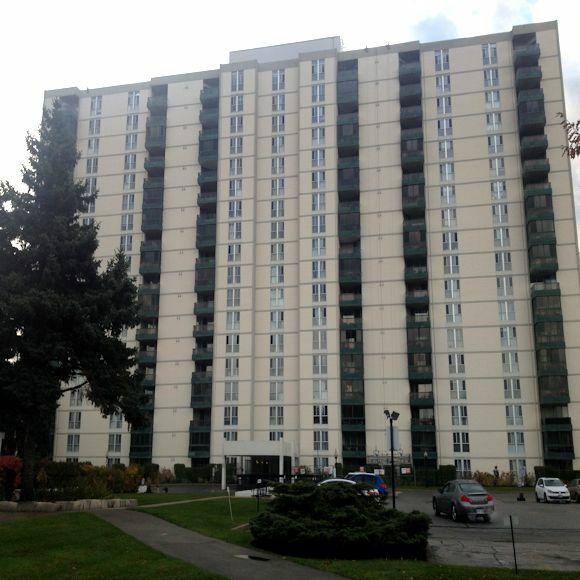 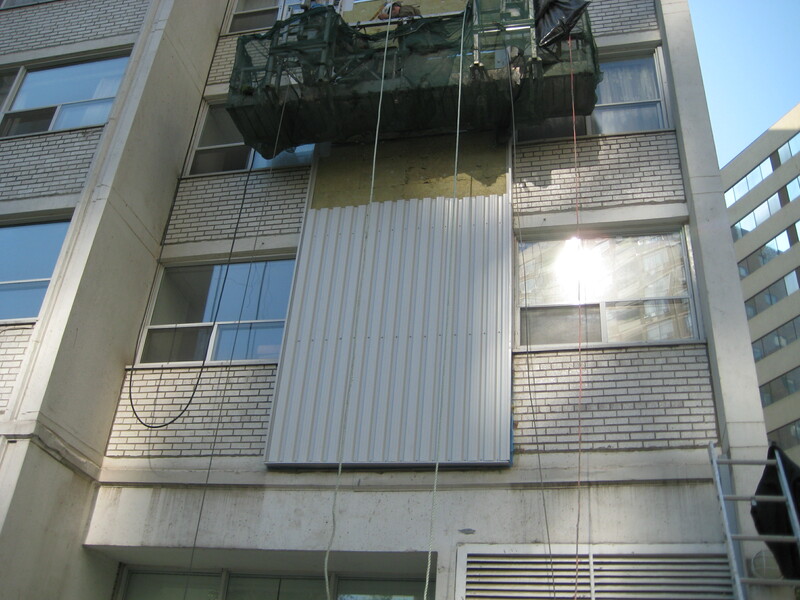 Brown & Beattie Ltd. has completed assessments and designed repairs for exterior walls & cladding on a numerous buildings. 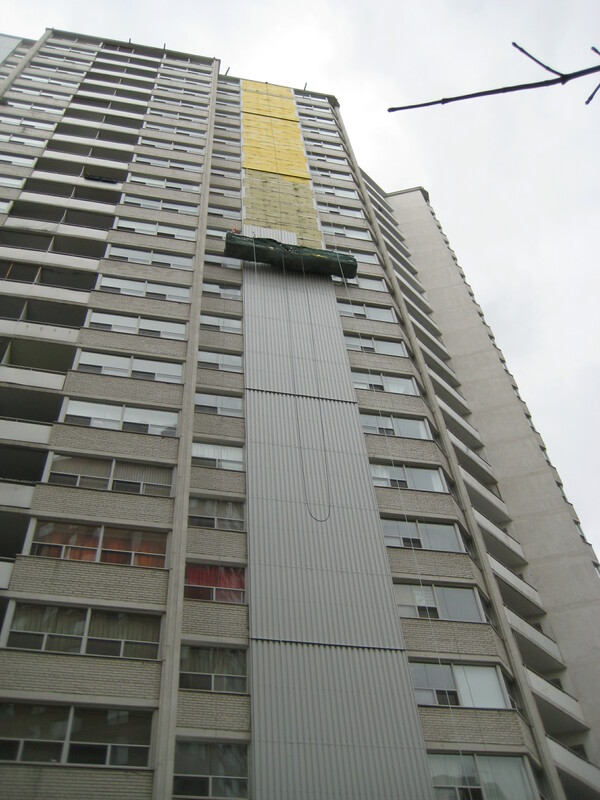 Expertise includes masonry, sealants, flashing, concrete, stucco cladding (EIFS – Exterior Insulation Finish Systems), metal cladding and architectural coatings and on low-rise buildings; wood, vinyl and aluminum siding. 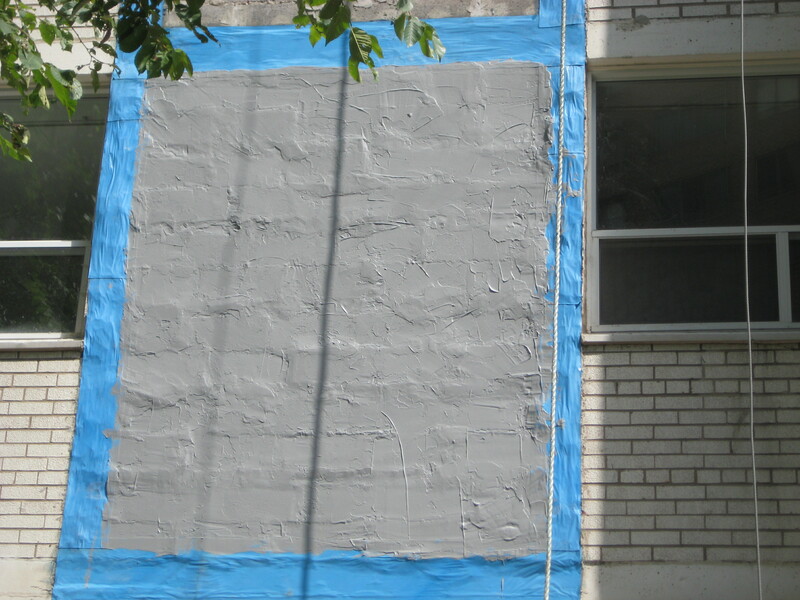 Assessments have included the use of our state of art Thermal Imaging Camera which we have successfully used in the diagnosis and repair of air and water leakage problems. 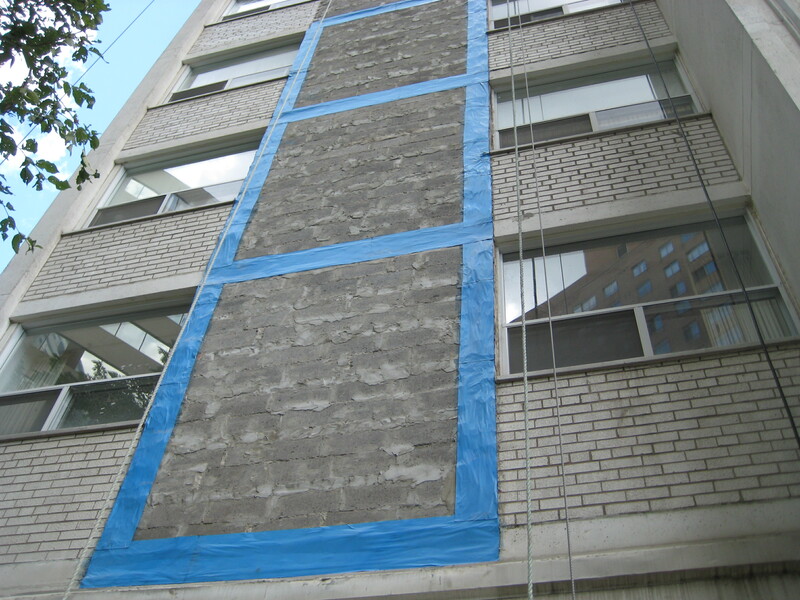 Localized repair and complete replacement of wall systems have included increasing insulation levels, new air barriers and improving exterior watershedding. 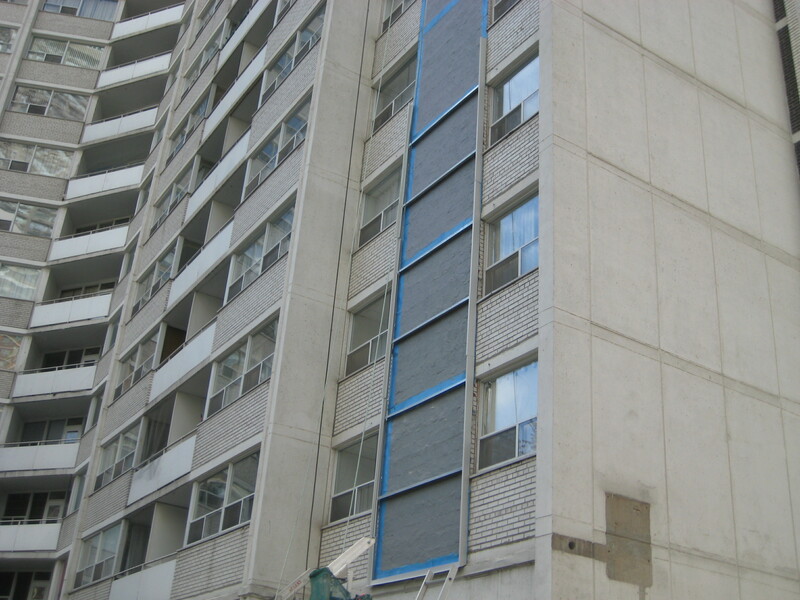 Townhome siding projects have included the replacement of soffits, fascia and eavestroughs. 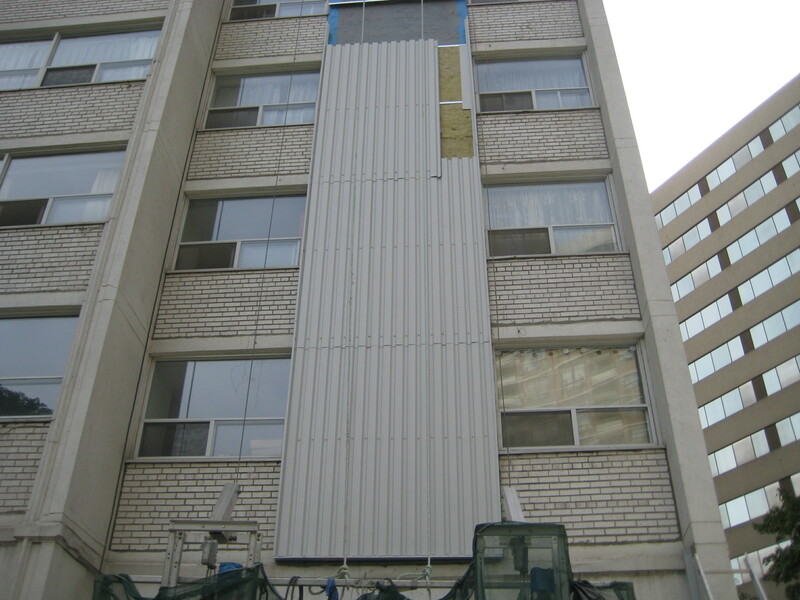 Exterior walls & cladding can become worn and weather beaten over time that can result in compromised structural integrity. 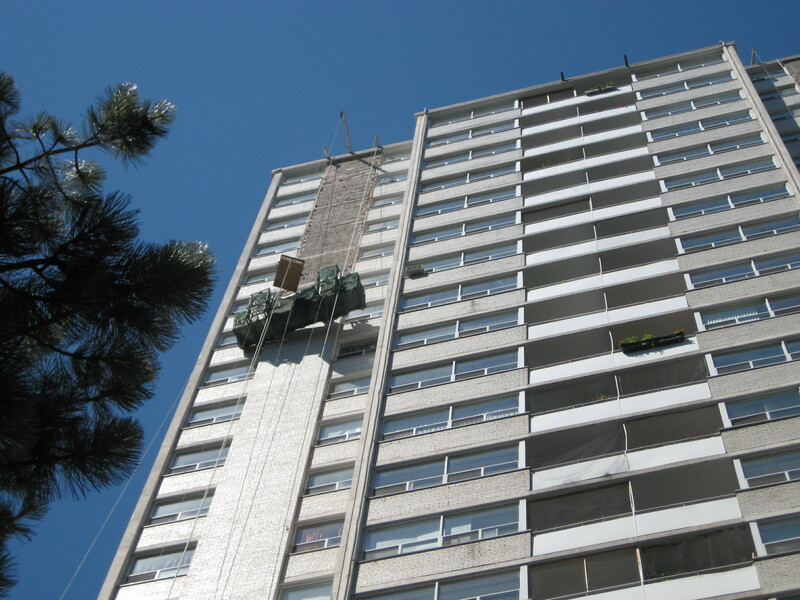 Brown& Beattie’s expertise can freshen the aesthetic of your buildings exterior and improve structural quality. 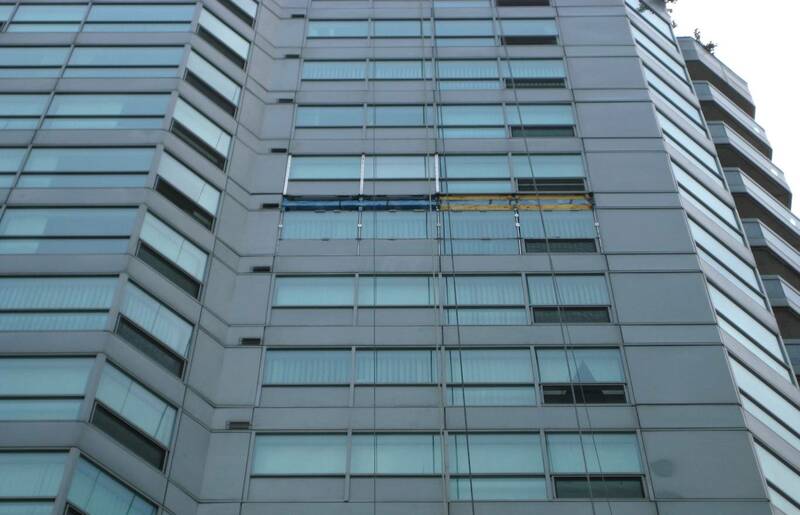 Investigation into reports of leakage through the curtain wall system of this downtown Toronto condominium complex revealed that incorrectly installed screws in the mullion framing system resulted in the unwanted water infiltration. 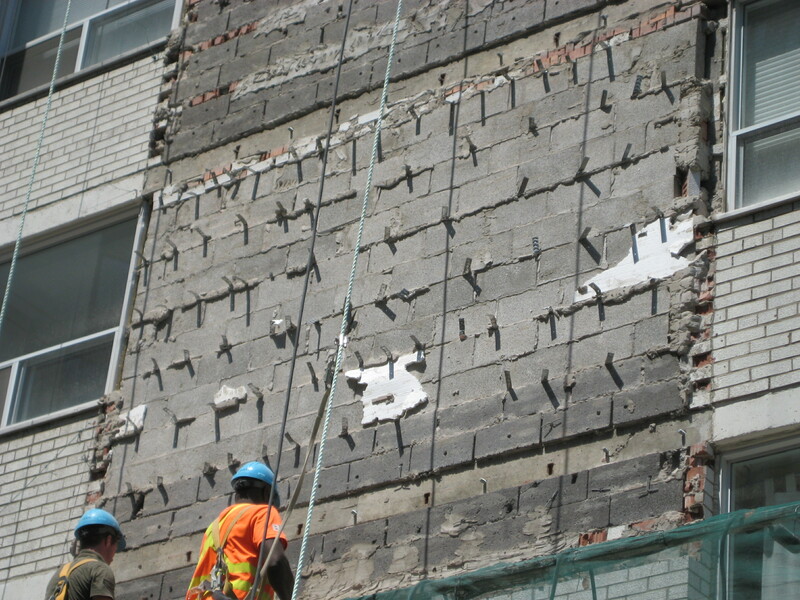 Brown and Beattie Ltd. provided engineering services related to investigation and general field review of the repairs. 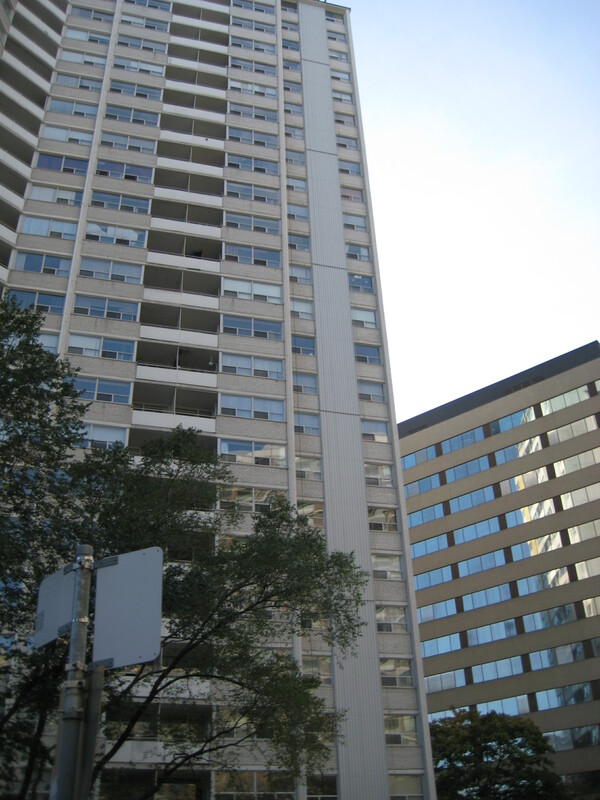 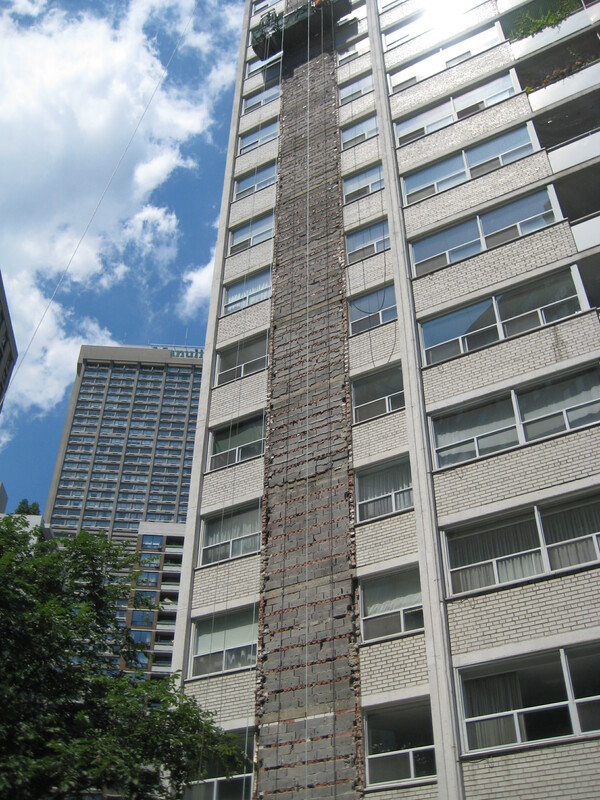 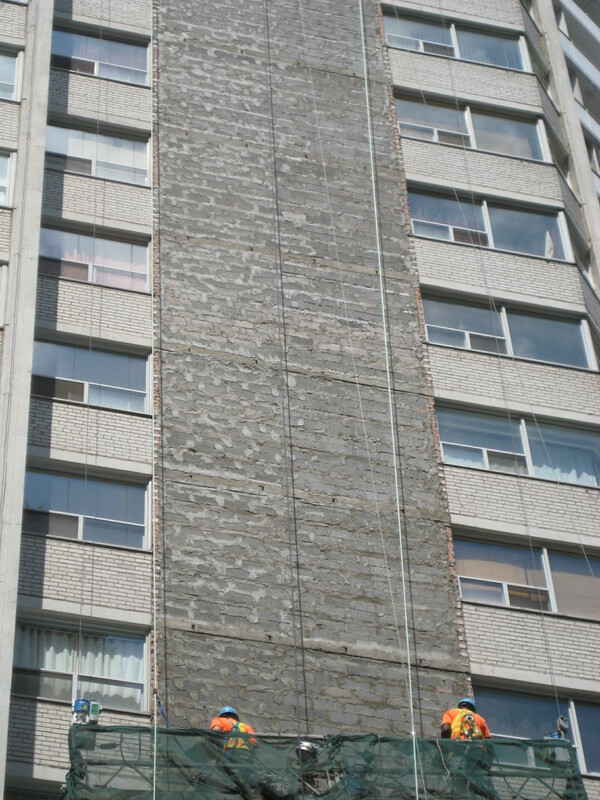 The deteriorating brick cladding on this Toronto apartment complex was replaced with a new insulated metal cladding system. 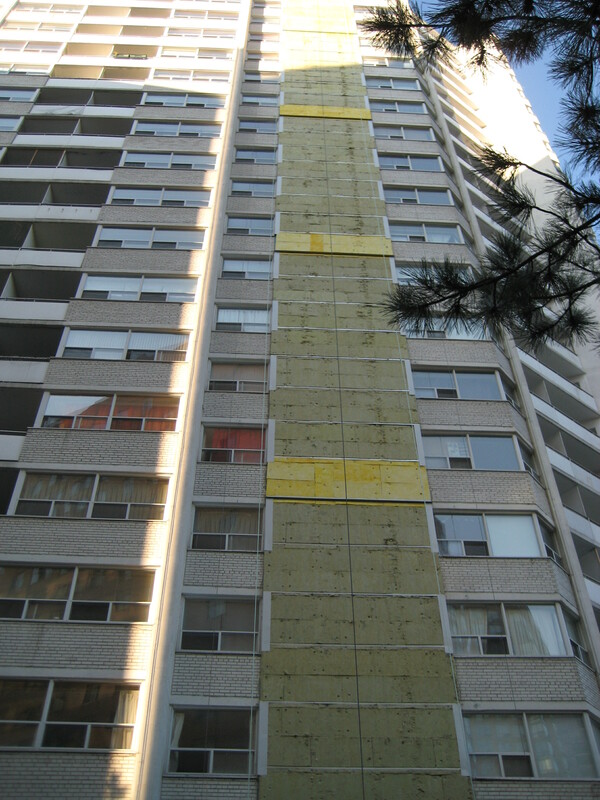 The design included a new air-barrier and resulted in a wall system with upgraded thermal performance and longevity. 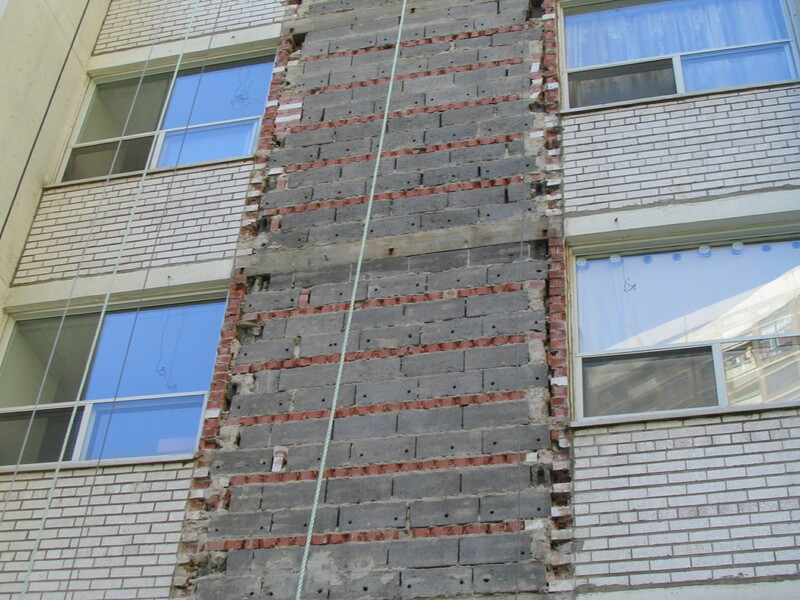 Brown and Beattie Ltd. provided engineering services related to the design, specifications, tendering, construction review and contract administration.